After a really long, cold spring, there are signs that warmer weather is on its way. This morning we saw a couple of robins. True, they were cowering under the car to get out of the freezing rain, sleet and wet snow but they were there! So, what's new for the shop this year? To start, we have a new sign to replace the one that blew away. Inside, we have revamped the layout to enable us to show even more great items. 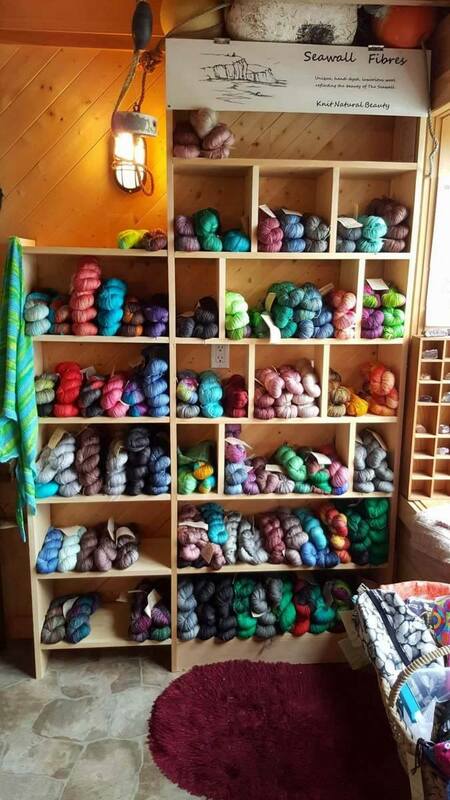 We have expanded our hand dyed yarn area to meet the tremendous demand that we have experienced since we launched Seawall Fibres last year. 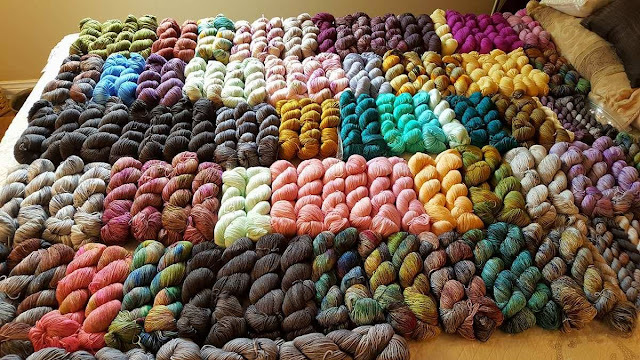 In our first year, we have sold well over 1000 skeins of yarn and have shipped it literally all over the world. This is just part of the latest shipment we received from daughter Lisa. 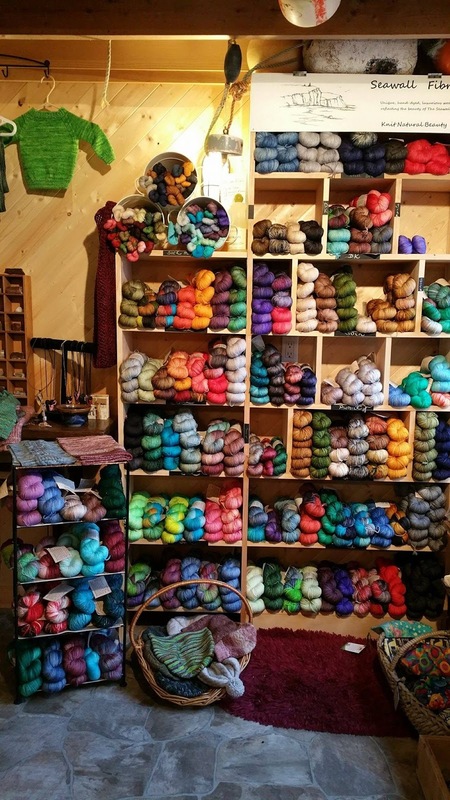 So if you are a knitter or fibre artist and plan to be in the area, you owe it to yourself to come on by! 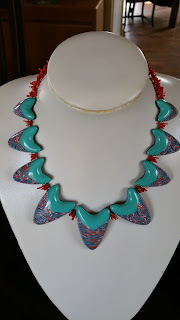 Of course, we have plenty of other things as well, including beautiful, museum quality jewelry made from polymer clay and local semi precious stones. And I promise that one day soon I'll chain Vickie to her sewing machine and get her to beef up our popular bag inventory. 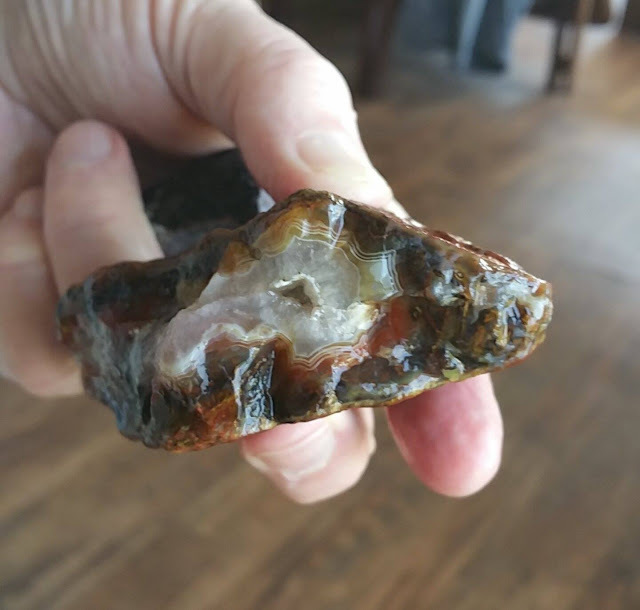 Kids love to look through the pile of polished stones to choose their free souvenir and I'll even tell them a bit about the rock they have chosen. 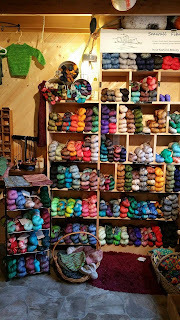 And if I am not too busy, I'll be glad to show your family the "rock shop lab". So make your plans now to visit Digby Neck, one of the most unique spots in the beautiful province of Nova Scotia. The whales are all rested up and ready to entertain and our famous St. Mary's Bay lobster and Digby scallops are ready to be eaten. 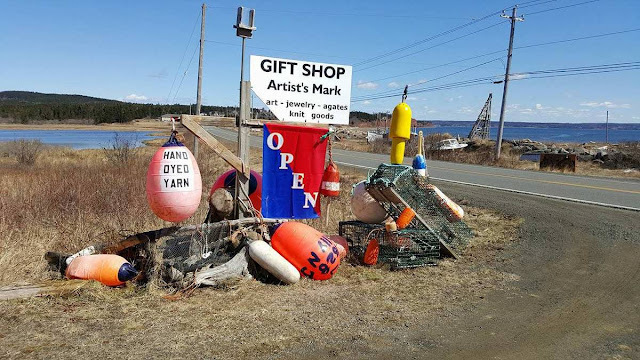 I'll be getting a new hip in early May but we'll be open unless we say otherwise on this blog and I am back in the rock shop cutting, grinding, sanding, polishing and drilling some beautiful stone so I'll post pictures in future posts.